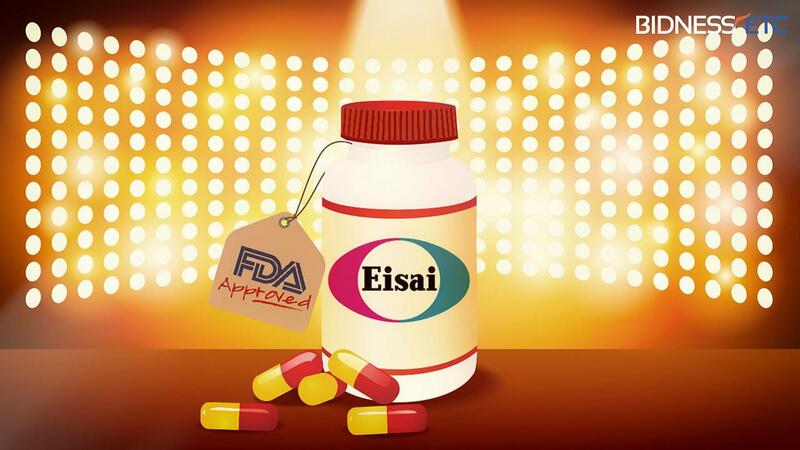 Eisai received notice from the Food and Drug Administration of the early approval of their treatment, levatinib, to treat differentiated thyroid cancer (DTC). Eisai is a pharmaceutical company, founded and based in Japan, which employs 10,000 workers internationally and reported earnings of 5.82 billion in 2013. In 1996, 41 years after their inception, Eisai opened their doors to the United States market when they gained FDA approval for their palliative treatment of Alzheimer’s disease, Aricept. Recently, nearly 19 years after their American debut, Eisai gained this expedited FDA approval of levatinib to add to their extensive list. The National Cancer Institute estimated that in 2014, 62,980 Americans were diagnosed with thyroid cancer and it proved fatal in 1,890. Thyroid cancer progresses into more threatening stages as great levels of proteins and blood vessels assist in the growth of the cancerous tumors. Levatinib, now branded as Lenvima, is a once a day oral treatment that works as a kinase inhibitor. It targets thyroid cancer by stopping tumors from progressing in their development. It does so by blocking blood vessels, which are needed for the development of the cancer. In Clinical Trialsn, the FDA tested levatinib against placebo on 392 patients with progressive, radioactive idodin-refractory DTC. The Food and Drug Administration’s official report of summation and approval of levatinib read, “Study results showed Lenvima-treated participants lived a median of 18.3 months without their disease progressing (progression-free survival), compared to a median of 3.6 months for participants who received a placebo. Additionally, 65 percent of participants treated with Lenvima saw a reduction in tumor size, compared to the two percent of participants who received a placebo. Even after gaining fast track status by the Food and Drug Administration, which is only assigned to particularly high potential treatments, levatinib was approved even quicker than expected after their very impressive data was reviewed. “The development of new therapies to assist patients with refractory disease is of high importance to the FDA,” said Richard Pazdur, M.D., director of the Office of Hematology and Oncology Products in the FDA’s Center for Drug Evaluation and Research. Eisai currently has 11 approved treatments on the United States market and billions in annual sales. Their opportunity to capitalize on the DTC market could prove to increase their company value tremendously. Could this one approval increase the company stock price? However, Eisai does not begin and end with Lenvima. Any and all investors must review their market success with other treatments, leadership and pipeline before jumping into investment.